My sons, ages 3 and 1, spend most of their time playing at the train table with cars and trains. We were lucky enough to have a friend provide us with many tracks and engines so the boys can play “Choo-choo” as long and as often as they wish. They have really enjoyed any and all things trains, and Thomas typically at the forefront of their play. We’ve been watching the Thomas & Friends show on television and it just captivates the attention of both boys. The stories always seem to have a great lesson to share and yet are short enough that it can render my otherwise rambunctious kids immobile for a good 10 minutes. I also like that our FiOS On Demand channel bundles 3 episodes in one, so if I need that little bit of extra time to fold clothes or prep dinner, I have it! 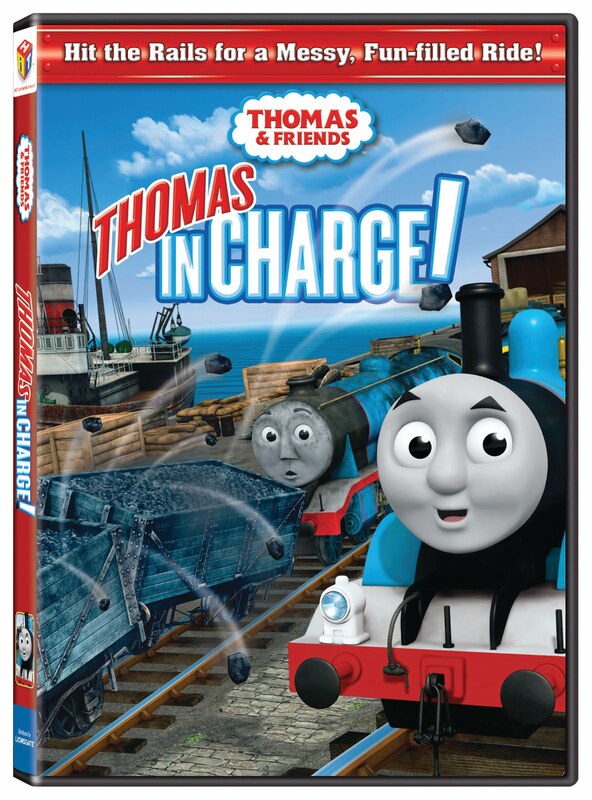 I was offered to do a review (and yes, GIVEAWAY) of the new Thomas & Friends™: Thomas in Charge DVD and considering our train obsession, it was a no brainer! I never knew that Thomas the Tank Engine was created by a father for his son over 65 years ago. There is something about that tidbit of information that makes me like Thomas stories more, and supports why Thomas is enjoyed by so many families in a multitude of languages around the world. The DVD includes 4 adventures for Thomas and Friends, as well as the addition of Mr. Perkins between each segment. The episodes focus on Thomas and his friends preparing for the Railway Inspector’s visit to Knapford Station. There are a number of mishaps along the way and Thomas must somehow take charge to resolve the mess! Episodes include: · “Thomas in Charge” · “Henry’s Good Deeds” · “O The Indignity” · “A Blooming Mess”. Thomas is now in a more modern animation format and the departure from the usual TV show production was quite apparent to me – but the kids didn’t seem to notice. However, my change-adverse 3 year old wasn’t too fond of the Mr. Perkins segments when we watched the DVD the first time. The segments are short and I thought they were cute, but I think the fact that it was a real actor and not animated threw him off. We have since re-watched the DVD he has warmed up to Driver Dan and awaits his appearances with the drums. In addition to some of the road trip games, this DVD is definitely going to come in handy on several road trips we have planned! The Lionsgate and HIT Entertainment DVD is available July 12th on DVD, Digital Download and On Demand and will retail for about $15.00. Mandatory Entry: Simply enter your information in the form below for your chance to win. 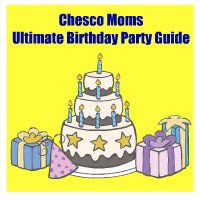 Bonus Entry: if you are a fan of Chester County Moms on facebook, fill out the form a 2nd time for a bonus entry! *Disclosure: I was provided a free copy of this product for review in exchange for this post. The sponsor is responsible for shipping prize to winner. All opinions expressed are my own, yours may differ.